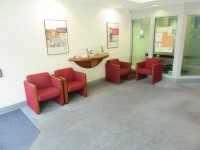 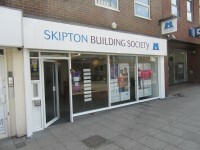 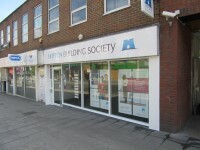 For opening times and services available in this branch, please visit the Harrow branch page on the Skipton Building Society website. 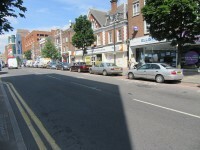 The nearest underground tube station is Harrow-on-the-Hill. 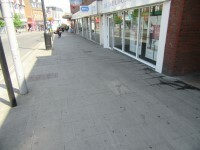 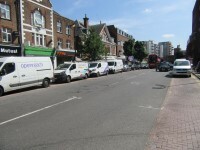 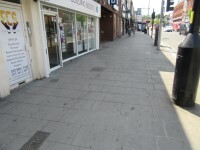 The on street Blue Badge parking bay(s) is/are located on College Road. 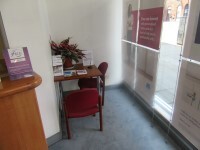 This information is for the entrance located at the front of the branch on Station Road. 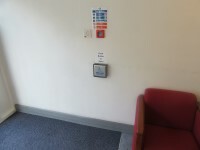 The entry push pad or push button is 75cm from floor level. 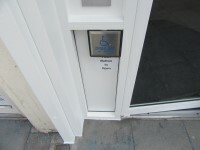 The exit push pad or push button is 84cm from floor level. 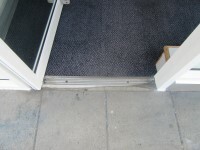 The ramp/slope is located beyond the entrance. 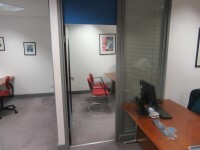 Although there is a push pad button to exit the branch there is also a sensor above the door so it automatically opens towards you. 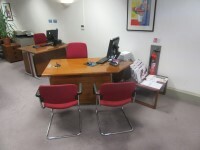 Seating in the branch includes; adjustable chairs with armrests and armchairs. 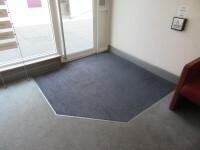 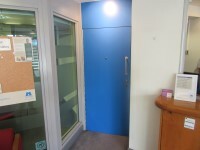 There is a single heavy security door which pulls towards you and is 80cm in width as shown in photograph 5. 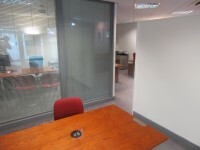 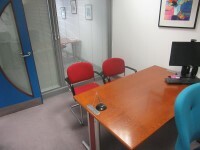 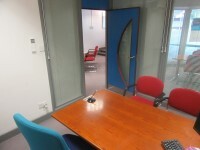 This door gives access to the transaction desks, meeting rooms and staff toilets from the counter and waiting area. 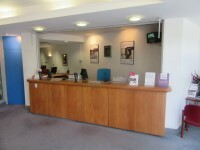 The counter is located at the front of the branch. 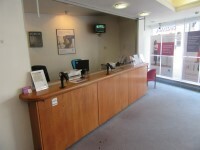 The counter is approximately 4m from the entrance. 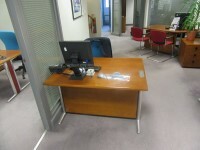 There is/are 4 desk(s) in the branch. 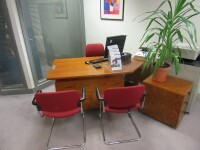 The desk(s) is/are located in the middle of the branch. 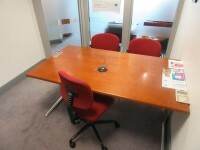 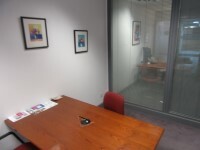 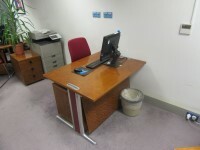 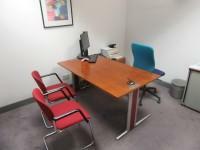 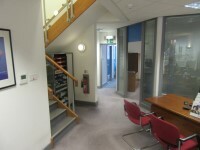 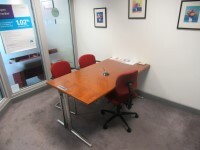 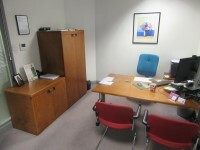 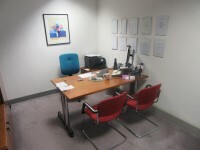 The nearest desk is approximately 10m from the entrance/lift. 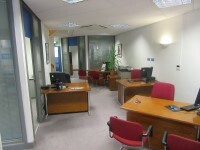 Room 1 is located on the left hand side of the branch. 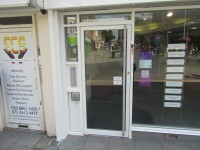 The width of the door opening is 88cm. 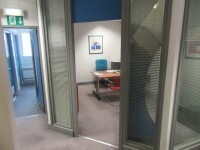 Room 2 is located on the left hand side of the branch. 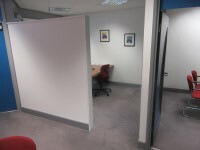 Room 3 is located at the rear of the branch, on the right hand side.